#FamilyMAYkeover – Spend $30, Save $10 at Albertsons & Safeway – Great Deals! Sponsored post by Mirum Shopper, opinions are 100% my own. 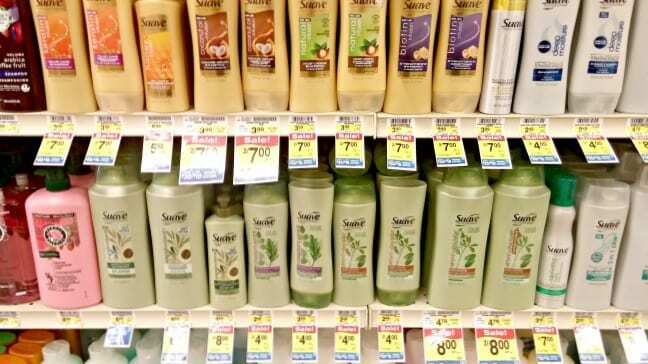 There is a great deal going on at Albertsons and Safeway currently for Unilever beauty products! 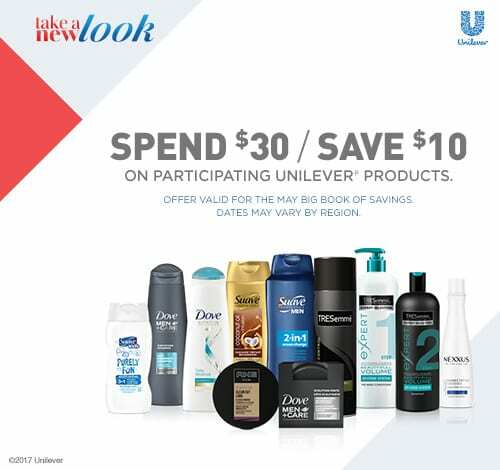 Right now in Albertsons May Big Book of savings you will find instant savings for $10 off when you buy $30 in participating Unilever products! Prices are good through 5/ . This sale will provide you with some great stock up opportunities on personal care items for the whole family. These are also great sales to stock up for gift baskets to keep on hand for those you know who might be able to use one, or as a gift, etc. Start by taking the Find Your New Look quiz, and it will recommend the products that will work best for your family. You can then use the instant savings, and coupons we have listed below to save big on those products. In addition to personal care, offer extends to Unilever food brands such as Hellmann’s, Lipton and Knorr. Plus, you can Download more coupons on this page as well (you will need to be signed into your account), for these items. My local Albertsons had lots of Suave products on sale. This should bring your total down to $18.51 before taxes, for over $32 in personal care products! 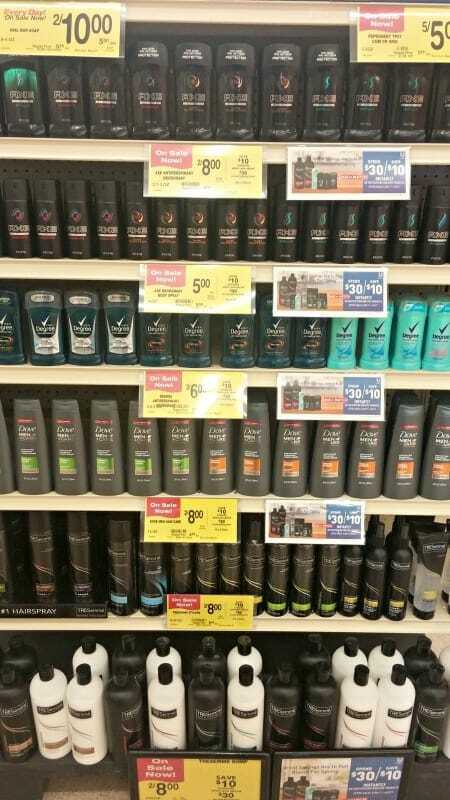 The end cap at my local Albertons, had many different brands included in this sale, all in one spot. You can buy the products online in their “Take a New Look” page, or in store. You can also take a Find Your New Look quiz to help you find the products that will work best for your families lifestyle. I took it, and they made recommendations for myself, my husband and my kids based on how I answered the questions. You can see we are a no fuss family. Give me a 3 in 1 solution all day long! 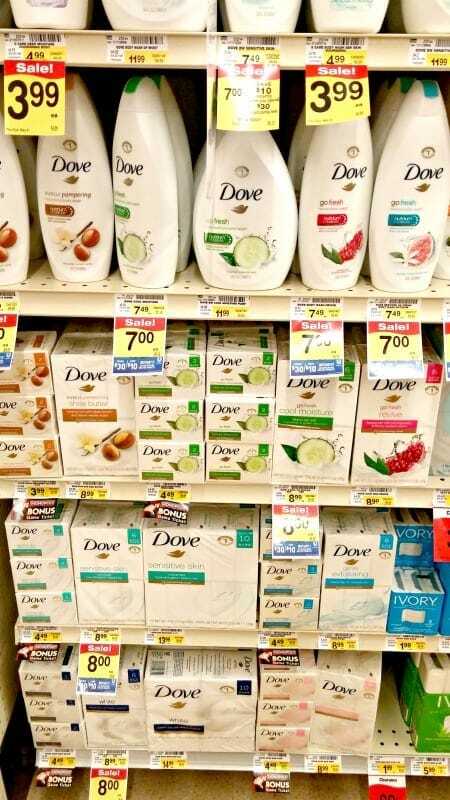 There were shelves full of the Dove products at my local store too! I love to shop these sales not just for my family but also for gift baskets. I like to keep my guest bathroom stocked with items folks might need if they spend the night. We have certain guests who come stay regularly, and I like to make a little basket for them with their own products, that I keep stored in our guest bathroom. These are also great items to grab when they go on sale to donate to folks who are in need! Be sure to take a look at the “Take a New Look” page and let us know what your favorite products are too.